Have you seen Prevagen being advertised during nightly news programs? The ads claim that Prevagen has been clinically shown to improve memory and support healthy brain function, leading to a sharper mind and clearer thinking. All this can be yours for only $39.95 a month. The science behind Prevagen is not as reassuring as its ads. In 2012, the FDA issued a warning letter to Quincy Bioscience, LLC (“QB”) the manufacturer of Prevagen. The letter advised QB that it could not advertise Prevagen as a drug having a therapeutic effect, because it had never applied to the FDA for approval of the drug, as required by the Federal Food, Drug and Cosmetic Act. That law requires a manufacturer to prove to the FDA’s satisfaction that a new drug is both safe and effective for its intended uses before it can market the drug. In response to the FDA warning letter, QB put together a panel of toxicologists who confirmed that the active ingredient in Prevagen, aquaequorin, is “generally recognized as safe”, and as such, it could be sold by QB as a dietary supplement without advanced approval from the FDA. Why? Because the FDA has far less authority over products sold as dietary supplements. 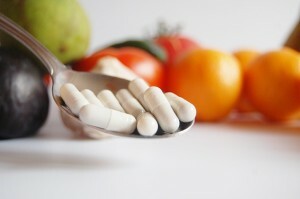 Manufacturers of dietary supplements are responsible for determining that their supplements are safe and that there is adequate evidence to substantiate that their claims are not false or misleading. However, the manufacturer need not provide this evidence to the FDA or to the public. Under the current law, the FDA is unlikely to take action against the manufacturer of a dietary supplement unless there is evidence that the product is not safe. QB has continued to successfully and openly market Prevagen, even though its users may be very surprised to learn that it is a dietary supplement and not a treatment for Alzheimer’s. QB claims that Prevagen has been shown to improve memory in clinical trials. However, the results of these trials have never been published in a peer reviewed journal, which is generally considered necessary to establish the integrity of the trial results. The summary provided by QB in its packaging and on its website is only a summary of the trial, which involved 218 people with self-reported memory problems. The names of those conducting the trial and their professional credentials are not given. The summary provides no statistical analysis, but the graphs (with no defined measurement points) all show that everyone’s memory went up impressively. Notwithstanding the red flags raised by the marketing claims and FDA warnings, Quincy Scientific is one of the fastest growing companies in the country. It made the list of Inc.’s 55/5000, the list of the fastest growing private companies in the United States for three years in a row, reporting 123% growth in 2014 and revenues of $19.3 million. Prevagen is QB’s flagship product. Consumer advocates have raised concerns about Prevagen for some time. The FDA seems to be stymied. However, there is relief available under consumer protection laws. And in January, a class action lawsuit, Racies v. Quincy Bioscience LLC, was filed against QB in California. The lawsuit claims that the active ingredient in Prevagen is completely broken down during the digestive process and has no effect on brain function, making the marketing false and misleading. The complaint also challenges the veracity of the clinical trial results posted by QB. The suit is currently in the discovery phase, but it has withstood motions to have the case dismissed. The class action suit will take time to resolve. In the meantime, if you or someone you know is considering taking Prevagen for memory issues, it is worth discussing the merits of this product with your physician. Everyone would like to take a pill to improve their memory, but so far, there is no confirmed proof that any such thing exists. I tried Prevagen of all types to no avail brain wise but I got a rash on my back which itched since it was from the sea and most likely polluted waters. I am interested in joining in the lawsuit. I have the empty boxes also.